Cross–posted from the J-PAL blog. How can policymakers integrate lessons from innovations proven to be effective in another context? Learning journeys can play a key role in understanding the implementation and context details which drove a program’s impact and might help or hinder success in a new context. As part of J-PAL Africa’s ongoing support to Zambia’s Ministry of General Education in implementing an evidence-informed remedial education program, two Ministry officials and J-PAL Africa policy staff undertook a learning journey to the state of Gujarat, India. The Ministry hopes to pilot and scale a “Catch Up” program based on the Teaching at the Right Level (TaRL) pedagogical approach. This program aims to improve the basic literacy and numeracy skills of primary school students by grouping them according to ability and providing them with instruction tailored to their learning level. Pratham, a large education-focused NGO based in India, developed and refined the TaRL approach over the last two decades. 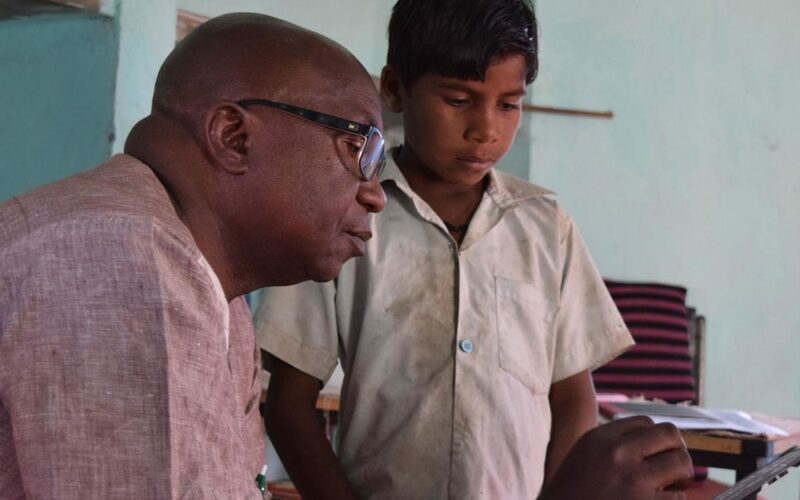 Pratham also partnered with J-PAL affiliated researchers to evaluate this approach and, after the results of the evaluation demonstrated that TaRL improved student learning, has worked with J-PAL South Asia to scale it up in various states in India. Rigorous evidence that a program model has worked is only one piece of the puzzle when attempting to use evidence from one context in another.i Policymakers must also understand important underlying contextual factors both where the program was implemented and in the next context. Additionally, policymakers must consider how the program was carried out and any key components that drove success. Seeing a program in action within its original context is one means to gain knowledge that will support its implementation in a new context. Two officials from the Directorate of Standards at Zambia’s Ministry of General Education who are heading the Catch Up program—Mr. Mahuba Hazemba, Senior Officer, and Mrs. Mercy Mwiya, Principal Officer—travelled to observe Pratham’s TaRL program in schools. The group observed two program models: a learning camp model, where students receive remedial instruction for 3 hours a day over a few weeks, and a teacher-led model with 1.5 hours of teaching per day throughout the school year. They additionally met with Gujarat government officials, as well as Pratham and J-PAL South Asia staff working on scaling up the program in Gujarat. The Zambian officials also heard from teachers about their experiences and learned about the support teachers receive when delivering the program. The Zambia Ministry of General Education plans to pilot the Catch Up program beginning in November 2016. The pilot will test two models similar to those observed in Gujarat. The results of the pilot will help the Ministry of General Education decide if and how to bring the program to scale in Zambia. Zambia’s Ministry of General Education and J-PAL Africa are partnering with a few other organizations to implement the Catch Up program. ZESSTA, the Technical Assistance component of the Education Sector Budget Support Program in Zambia will develop teaching materials for each school. VVOB, a Belgian strategic partner to the Ministry of General Education, provide training and ongoing support to monitors throughout the course of the pilot. i For more information on how J-PAL approaches bringing a program from one context to another, watch J-PAL’s Executive Director Rachel Glennerster present on generalizability at the International Growth Centre.